Sorry for the short hiatus, here’s a short post on what we’ve been busy with! Yesterday, we had our first wedding party at 7Adam!! The past week was a busy but fun one, filled with meetings, running errands, and doing some final shopping for the things needed at the party! Anyway, the wedding was a really simple yet heartwarming affair for all the guests, and of course for the bride and the groom. We are so glad to have the chance to plan this wedding for the couple and we can’t wait to blog about it and share it with all you readers! Here’s just a sneak peep of the bridal bouquet that we’ve took two days back before the wedding while we went down to our florist to check on the flowers. Also check out the feature of our bride and the groom on the September’s issue of Mangosteen! 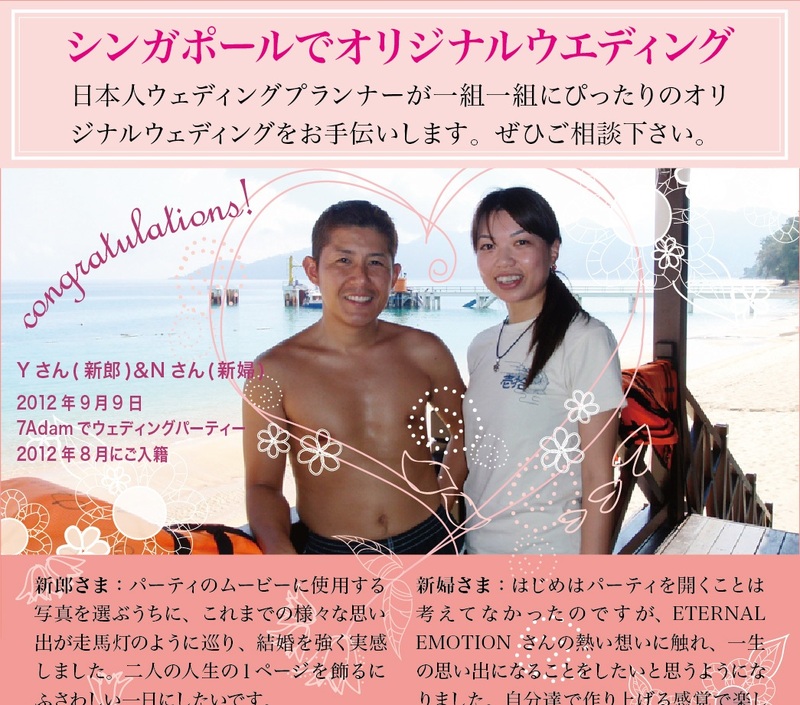 This was actually an interview with the bride and the groom hence it’s all in Japanese. Sorry about that! But not to worry, we’ll definitely update a post about the wedding soon! We are currently still waiting to receive the images from the photographer, so do check back again for the update on the wedding! 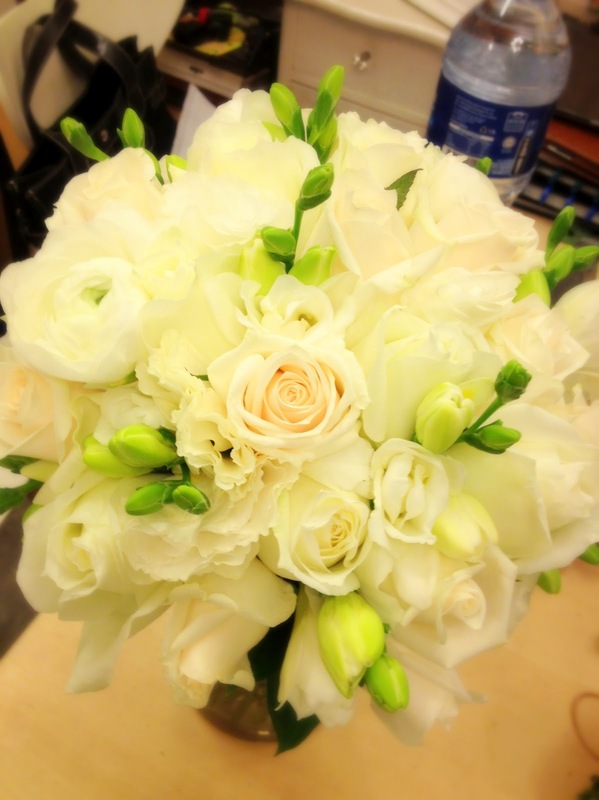 Anyhow, please note that our wedding planning services extend to all locals, not just Japanese customers! So please feel free to call or email us directly if you have any questions for us! Stay tuned for the next update! Have an awesome week ahead!